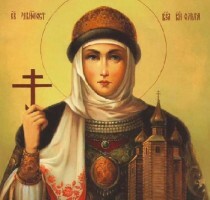 In the life of St. Olga, honored by the Church on July 11/24, we read that after the murder of her husband, prince of Kiev Igor, she behaved with incredible cruelty and avenged not only to the killers but also to the whole tribe to which they belonged. Many saints, before the final decision to embrace the Christian faith, had shown toughness, misanthropy and sin. So find application the Biblical words: “where sin increased, grace increased all the more” (Rom. 5,20). Where the size of sin seemed scary, the grace of God appeared much greater than previously. 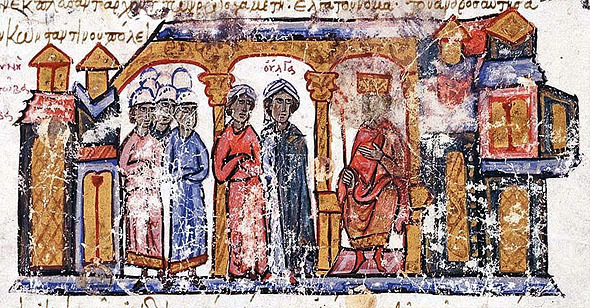 Something similar occurs in the life of the Russian Princess Olga, which was adorned with the nickname “Isapostolos” (that is, equal to Apostles), just as Constantine the Great. 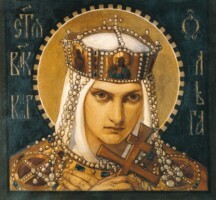 In the life of St. Olga, honored by the Church on July 11/24, we read that after the murder of her husband, prince of Kiev Igor, she behaved with incredible cruelty and avenged not only to the killers but also to the whole tribe to which they belonged. 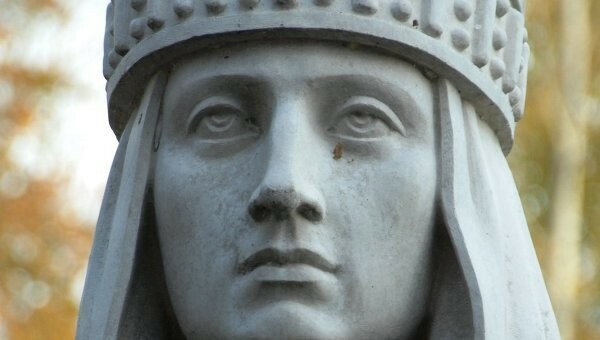 After Olga was initiated into the Christian faith, she traveled to Constantinople where she was received with honors by the emperor Constantine VII the Porphyrogénnētos, and is said to have received the baptism by patriarch Polyeuktos and taken the name Helen. Returning to Kiev, although she tried to indoctrinate her son Svetoslav (945-972) to Christianity, he stubbornly remained pagan. When her son took over the reins of the state, Olga lived “for some years in deep peace, enjoying love of her son and people, likewise thanksgiving.” During this time she tried to pass on the evangelical light to her grandchildren, but she didn’t manage to baptize them, because of their father’s opposition. But one of them, Vladimir, after her death (969 AD), following the shining example of his grandmother, by decree urged state residents to be baptized in the Dnieper River. So officially began the Christianization of the Russian people through the insight and prayers of St. Olga, the Equal to the Apostles.